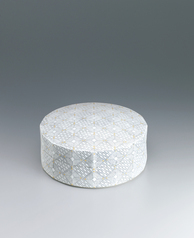 Circular box with connected minute patterns in cut paper stencil. 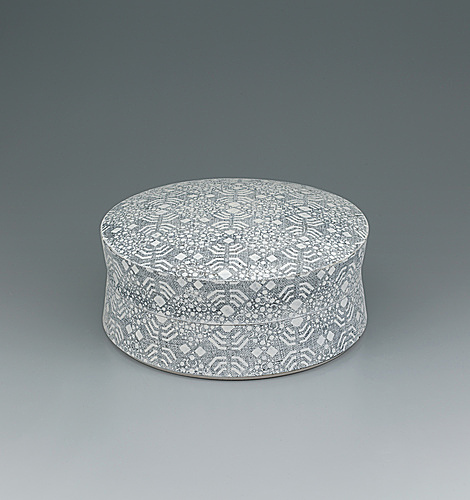 Box with connected patterns in cut paper stencil. 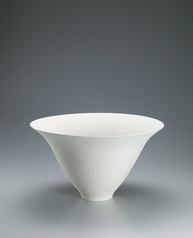 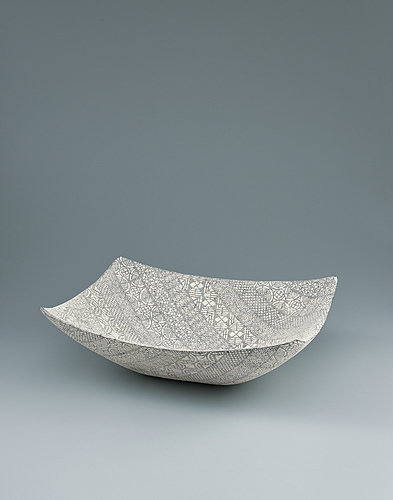 Bowl with design of tiered patterns in cut paper stencil. 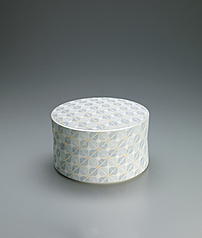 Faceted box with small pattern in joined cut paper stencil.